I would suggest saving this to your desktop, so you can easily find it when needed. 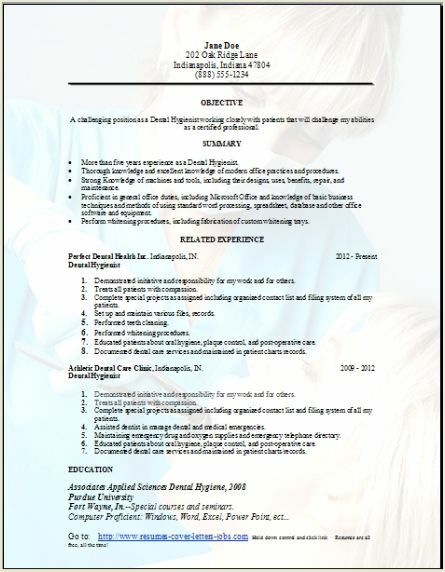 These are 3 dental hygienist formats I created to help you with writing your own resume. Edit any one of these that you like with your own information easily in word. What I have supplied are examples for you to go by, so make it your own in any way you see fit. This is a great paying job with an average pay of around $70,000 dollars. Depending on where in the country you are located. The low pay could be around $46,000 and the highest pay could be up to $96,000 dollars. If you are full time then benefits should be available, although most dental hygienist work part time. You will need a minimum of an associates degree in dental hygiene. Each state does require you to obtain a license at an accredited institution. You will need to have passing grades on written test and also the hands on examinations and cleaning procedures. 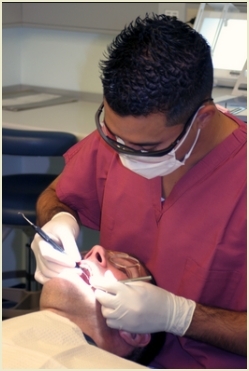 A typical regular day, you would clean the teeth of scheduled patients. Also perform examinations for any oral disease like gingivitis, and offer instruction to the patient on how to obtain good oral heath. Remove any stains, plaque and tartar from the teeth. Apply fluoride treatments, including sealants to protect the teeth. Take dental x-rays of the patients teeth and also develop them if needed. Keeping you patient very comfortable, and relaxed during teeth cleaning procedures. Extend your knowledge of correct techniques for oral healthcare. 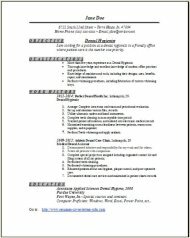 As a Dental hygienist you will be working in a dentist's office or a clinic. You will wear safety glasses and also a mask to help protect form any infectious disease. This is for the protection of the patient and also themselves. Also, during the appointments you will be bent over a lot of the time until the procedure is completed. Most people in this position work part time, as the dentist will only schedule cleaning appointments a couple days a week. So dental hygienist will usually work for more than one dentist at the same time to fill their week up to obtain a full salary. The employment outlook is projected to rise 33% in this position, all the way through 2022. 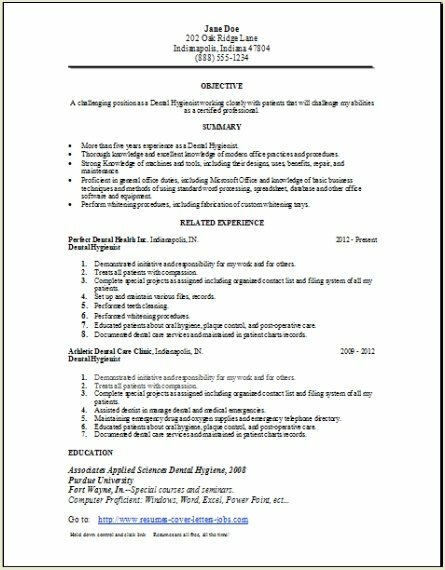 So if you have already obtained the schooling, once you edit our dental hygienist resume and make it your own you will not have any problem getting a position in this high paying profession.